Since we just went through the process of buying a patio/french door, I’d thought I’d document the process and show what the options are. We originally thought we wanted an outswing French door, but decided later to go with an inswing door. This does save some money. The prices are approximate and include $600 installation plus about 10% sales tax. They all have Low-E glass. $1500 – Tree Court Builders Supply. This is a basic steel door, that would be ok if you are on a budget. This does have blinds inside the door, which can be replaced if they go bad. They use a caulk that oozes out over time. Only one small piece of weather stripping. You have to get someone to install these. You will also need to paint these yourself. $3400 – Pella at Lowes. This is a price of Double Entry doors. For some reason, the Pella Patio Doors are a thousand dollars more. They don’t have steel doors for Pella at Lowes – just fiberglass and wood covered with vinyl. It only has one small weather stripping. $3600 – Anderson at Home Depot. These are not the same doors as the ones below. They use contractors to put in the door. They only have a few colors to choose from. $4400 – Pella in home presentation. This looks like the same door which is sold at Lowes. It’s a nice looking door, but only has a small weather strip. $5081 – Renewal by Anderson. They have their own installers and guarantee their work. They do have a A+ rating on the BBB. They actually install a Provia line of doors. They bring a cutaway section of the door for you to look at. The weather stripping is amazing – three sections, not just the one on all the other doors. We went with the Renewal by Anderson. While it is the most expensive, it seems to be the best made and we might get back our money when we sell the house. Don’t run your dishwasher when you go to bed. The inlet valve can stick and you will wake up to a wet first floor. When you go on vacation there is a valve under the sink to turn off the water to the dishwasher – turn off the water valve to the dishwasher. The above also applies to the washing machine and any water going to the refrigerator – turn them off when leaving for vacation. Good brands he recommends – Bosch, Kitchen Aid, Whirlpool, Maytag. The simpler the better – you don’t need all those fancy controls. St. Louis Appliance Repair Group did the repair. I decided to take a look at my two outside air conditioner units and see if they need cleaning. As you can see from the picture, they are totally clogged. I’m surprised that I’m getting any cooling at all. The fins are covered on the outside by a panel which makes it very hard to see what is going on inside. While I initially took a shop vac to the fins, with a little testing I learned that a good stream of water will release the dirt. You could also spray it with a cleaner, but that may not even be necessary. Taking apart the top of my unit is fairly easy. After turning off the electricity, I unscrewed the top. Unfortunately the unit is still held in by electrical wires. What I did was to use some garden pads to rest the top on and used the hose on the fins. If you don’t take off the sides, you can still clean the outside, but it’s not as easy. It’s hard to put the pieces back together, so just taking the top off is the easy option. One option that I am going to try is put a screen around the outside of the unit. They have one available on Amazon, but some reviewers said that this is basically just a window screen, so that’s what I’m going to try. Here’s a speech I did for Toastmasters on tips to keep your basement dry and how to be prepared if there is a problem. Gutter Guards are another topic I didn’t have time to go into, but I use them also. I didn’t have time to cover sewer backups, but Ask This Old House did a great segment on this. Found this video on how to protect your garage door from being open with a coat hangar. I immediately punched a couple of small holes in the ceiling to let the water drip out and started a 24 hour campaign to find out what the cause was. I thought that it might have been the rain we just had, or that the house cleaner had spilled some water in a bathroom area. What I came to realize was that the water was coming from our attic air conditioner. This unit has a pipe attached to it which drains the water from the a/c unit. The problem was that the drain over time builds up sediment, rust, dust and lint, algae and possibly even insects and will eventually clog up the drain. What compounded our problem was that the drain had a lot of 90 degree elbows through the ceiling and made it even harder for the water to drain. When our drain eventually clogged up, one of the elbows was loose and started dripping through the first floor ceiling. $380.00 later I’ve learned a few things which might help you from having this problem in the future. 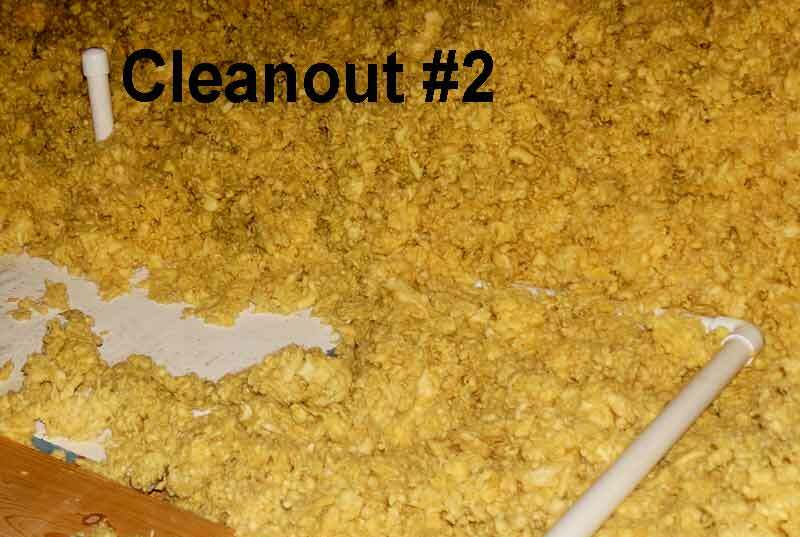 You need to clean out the drain at least once a year. Pour down bleach or a bleach and water solution to clean out the drain. Depending on how much you run your a/c you might want to do this more often. If that doesn’t clean it out, you can try using a “Charles Gallo Drain Gun.” It uses CO2 cartridges to clean out the line. It costs $35 plus $2/cartridge. 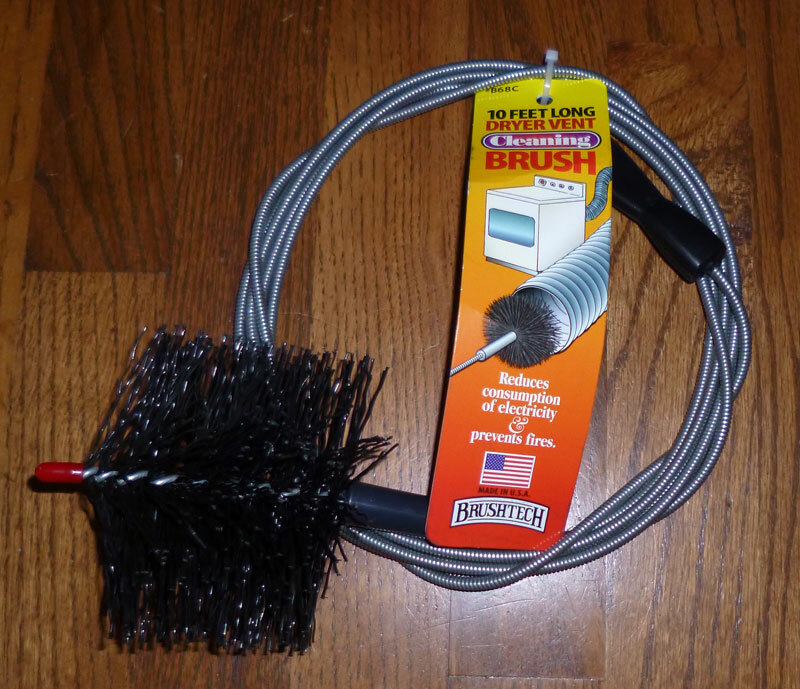 You can also try using your wet/dry shop vac to clean out the line, but this did not work for me. My a/c guy eventually blew out the line with a large Nitrogen tank, but with a loose fitting I decided to abandon my old line and put in a new line. My a/c guy recommends a 1.5″ line for the drain. Most people put in a smaller 3/4 inch line, but that’s not as good. I used an old 1″ line that I had. If you don’t have a logical opening to pour in the bleach, you will need to add some T fittings to your line. I also put caps on these fittings to keep out debris and insects from getting into the lines. If you’re going away on vacation – turn off your a/c, so that if this problem occurs, it won’t cause massive problems while you are gone. I’m also going to put a water alarm in my attic just in case my drain would clog again and the water would go into the spill pan. Conclusion: Your condensate drain is going to clog at some point and you’re going to have a leak if you don’t do preventive maintenance. These are notes from the video below. Use Lithium grease spray – NOT WD40 or oil. Release the door from the mechanism so you can move the track up and down manuall. Spray all moving parts on the door itself. Spray ball bearings in door rollers – use straw on can. Spray pulley ball bearings – use straw on can. You can spray the top of the rail where the metal moves back and forth. You don’t need to spray the chains. You don’t need to spray the track, but you can clean the track with WD40. I recently had one of my many Anderson windows break for no apparent reason. It has two panes of glass and the inner glass broke one night. After duct taping the window to make sure the glass wouldn’t fall out, I called Anderson Windows and ordered a replacement. The upper window was part # 1620854. The woman I talked to said that they have almost all replacement windows for any windows manufactured in the last 30? years. My windows is twenty-two years old, so I should be ok for a while. 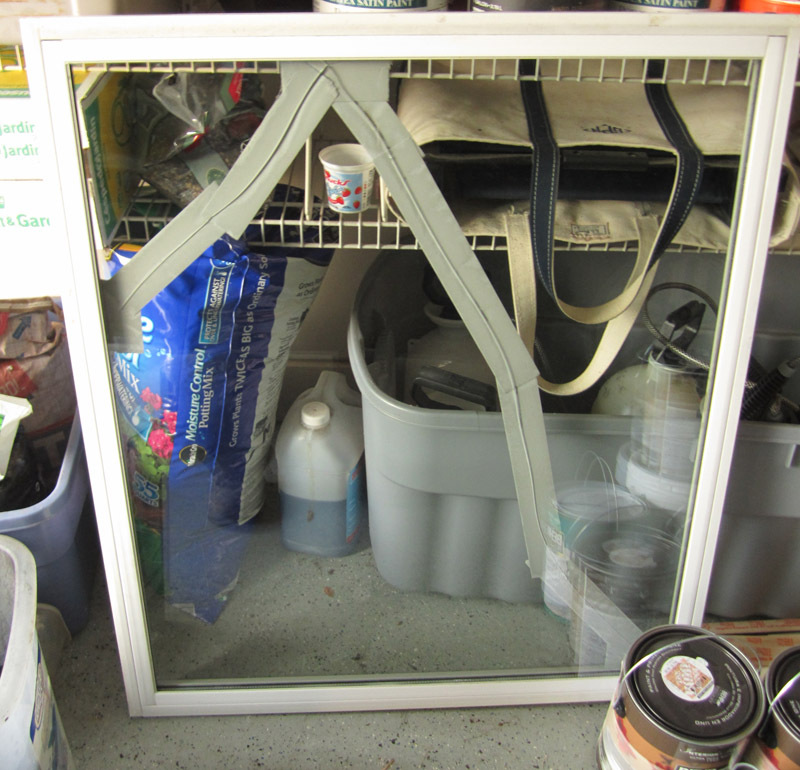 The replacement window cost approximately $230. The cost does include shipping. The new window comes with easy to understand instructions, but here are a few hints to make the job easier. Get some help – this is a two person job. One of the first things you have to do is remove the Lower Left Jamb liner. It’s easy to take out the screws. Then you need to take a knife and score the liner along the wall where you have probably painted. You need to break the paint seal first to get the liner to slide down. I also spray the wood with silicone every chance I had. It really helps. Take your time you don’t want to break the liner. Also, make sure you have taken out ALL the screws. The next part is hard and you want some help with this. When you SLOWLY remove the windows, you have to manually hold the sash cord. It is under EXTREME tension and is hard to hold with your bare hands. There is a small piece of plastic at the end of the sash cord. I jammed a pair of needle nose pliers in the hole where the cord comes out and then also put in a small nail in the molding to tie the cord onto. The video suggests you can let the piece of plastic rest at the top of the window. For me, the opening seems to large and I was afraid it would go into the hole. Here’s another way to hold the cord and plastic. Using a coat hanger, bend it into the shape of an S – with a large part for your finger and a small part to hook the plastic part as it comes out of the window. As you grab the plastic part, you can then slowly move the cord and plastic part up toward the top and then it will hold because of the coat hanger. Thanks to Tony C. for this tip. SILICONE – before I re-installed liner I thoroughly siliconed the wood and liner and it went into place easily. When you’re done you may want to silicone all the liners to make the windows easier to move up and down. Take your time and you and a friend can do this job and save some money. Below is another local St. Louis location where you can find windows and parts for Anderson windows. Here’s a video which walks you through the process. We recently decided to paint the entire house and in the process of removing everything from the walls, I took off the cover from an air return vent and the above is what I saw. 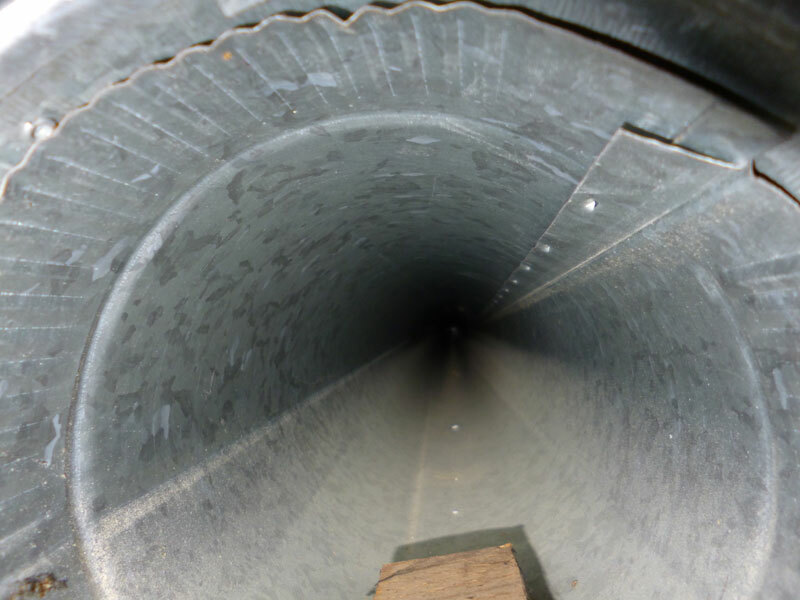 I called a reputable Duct cleaning service and learned a lot about the process and what needs to be done and what doesn’t need to be done. The service man checked the furnace – it was clean. It was only a couple of years old anyway. 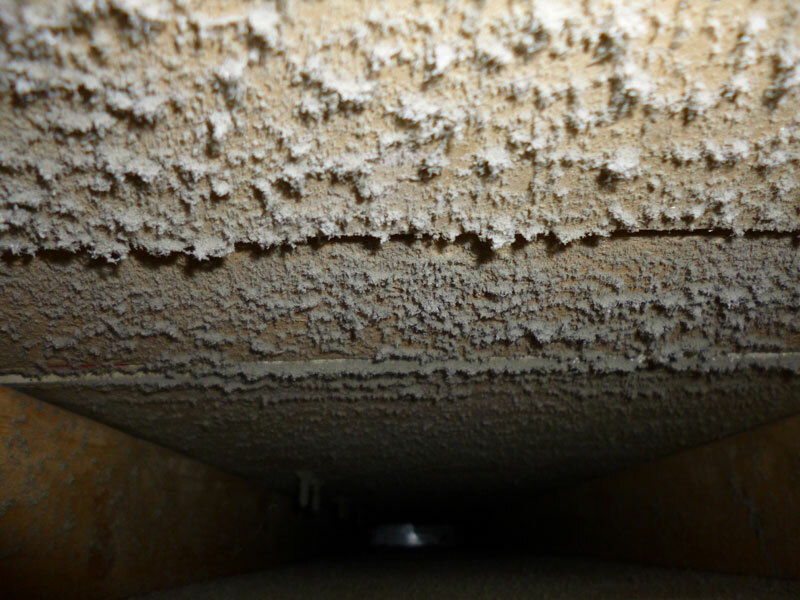 When he checked the actual air ducts going to the room – they were clean. The above picture is what I saw. It actually makes sense. The air going into the furnace is dirty, it gets cleaned by the filter and then clean air goes out into the room. I decided to see if I could clean the four air return ducts myself. I bought this dryer vent cleaning system from Amazon for $15. It fits perfectly between the drywall and the 2×4’s. The wire is not quite as stiff as I’d like, but with some pushing you can move it all the way up and down the wall to clean that area. Here’s what the area looks like when it’s done. It’s not perfect, but you could do it again to make it even better. For $15 it’s a great investment and saved me around $500. According to Consumer Reports, I should be flushing my water heater twice a year. I haven’t done that in the past and so when I tried it, no water would come out of the drain. 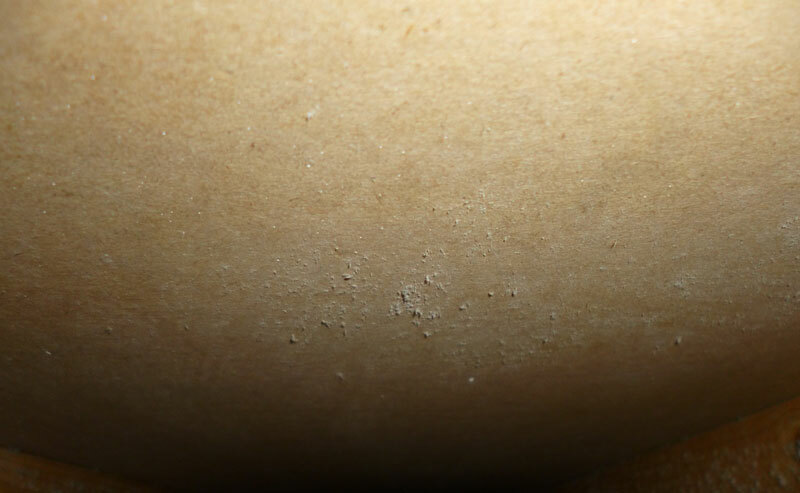 Even though the water heater says that it is self-cleaning – obviously it is not. If you are counting on this water in an emergency, flushing the water heater twice a year will be a good way to ensure that the water will be available when needed. Consumer Reports has a nice article about he whole process here. Turn off the heater or put in on a vacation setting to keep it from going on. You could also put it on a Pilot setting. 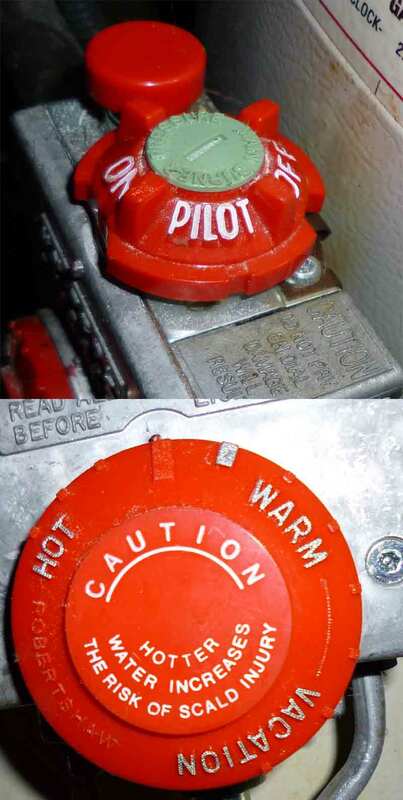 Relighting the pilot light can be a pain., so I would suggest not turning the pilot light off. Attach a hose to the water heater drain and bring the hose to a nearby drain. Watch out – the water will be extremely hot coming out of the tank. Turn off the cold water supply to the water heater. Open up a hot water tap in the house. 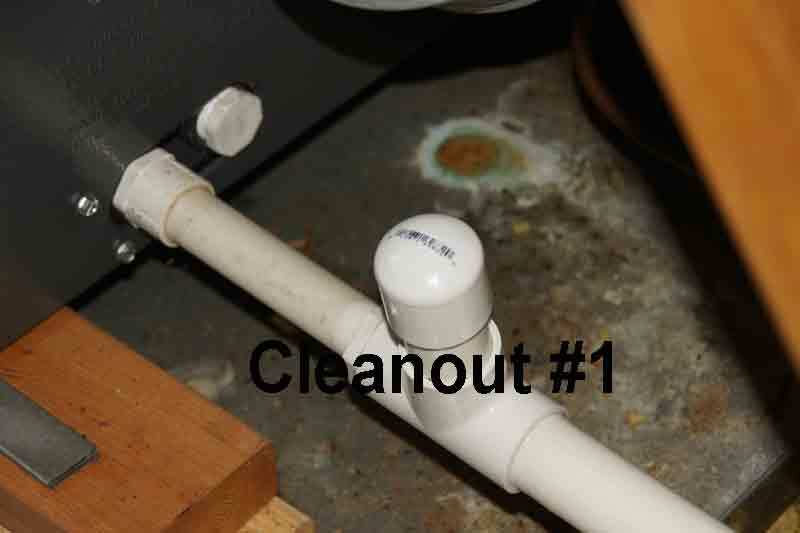 Open the water heater drain and let it run until the water is clear. Turn off the drain and wait a few minutes and try this again. When it’s always clear then you can close the drain. Turn on the cold water inlet. Go to your upstairs faucet that is on – let the air out and then close when the water come out.